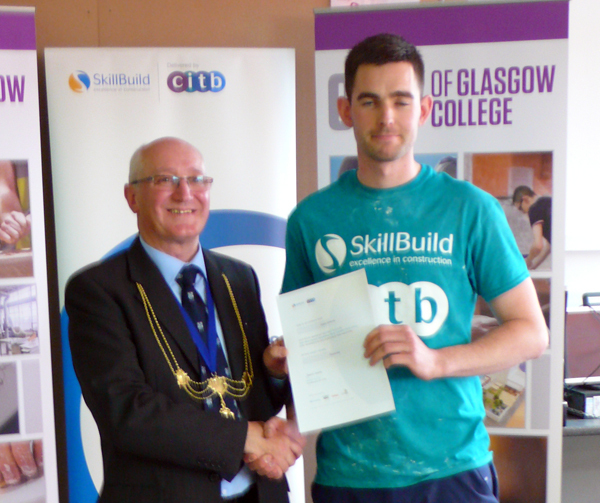 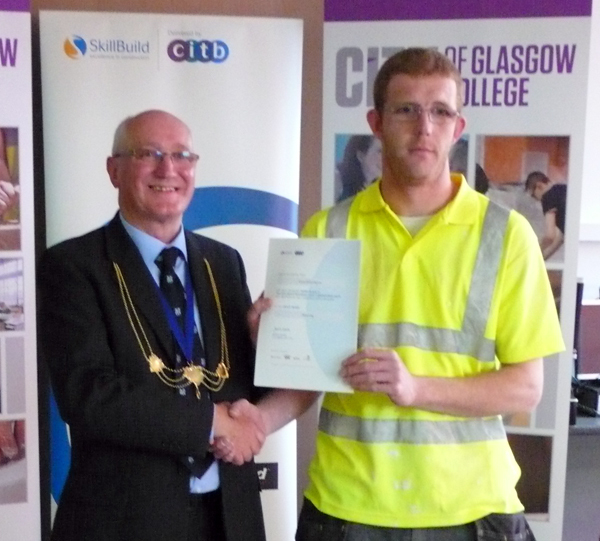 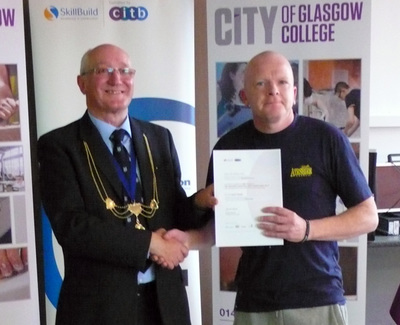 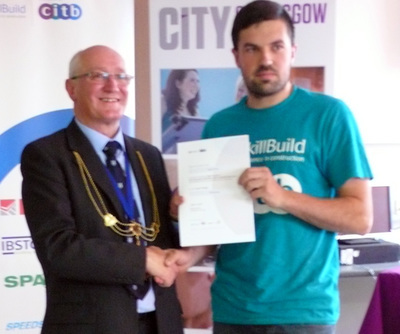 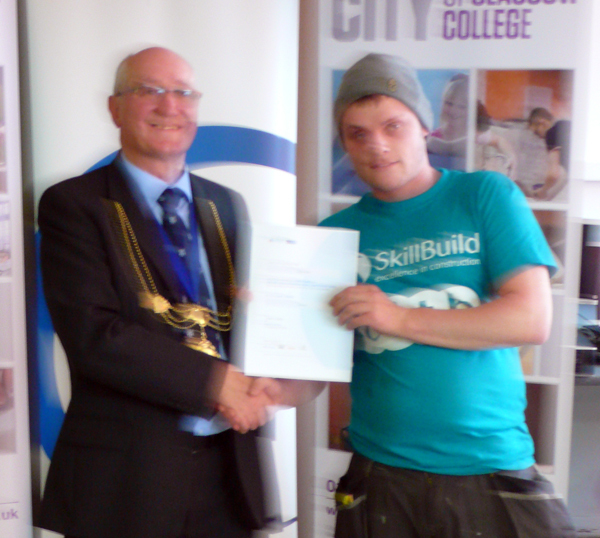 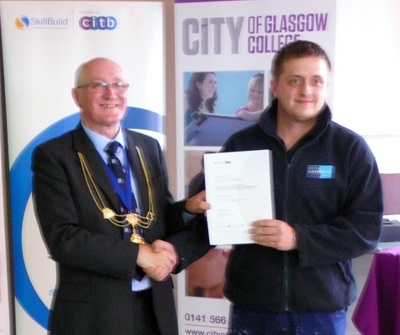 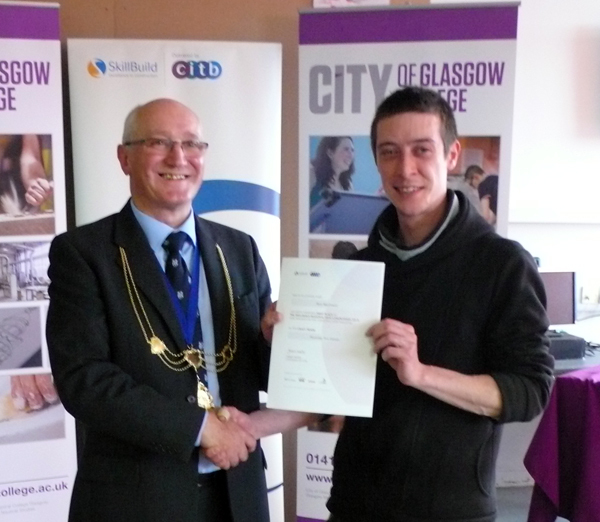 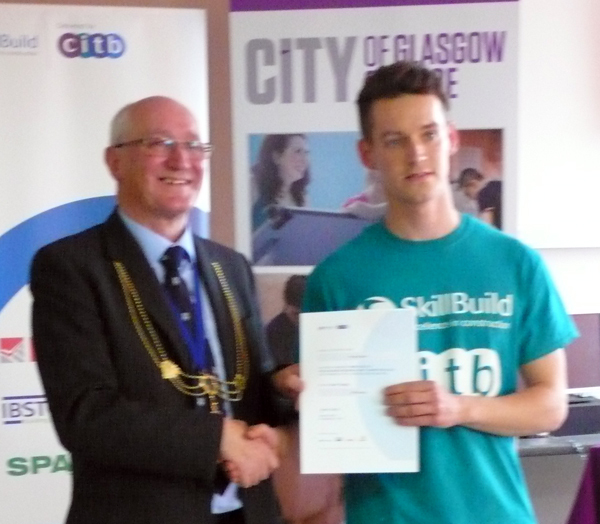 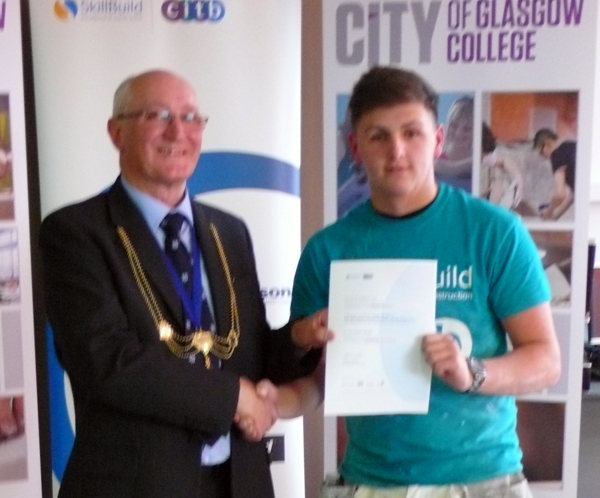 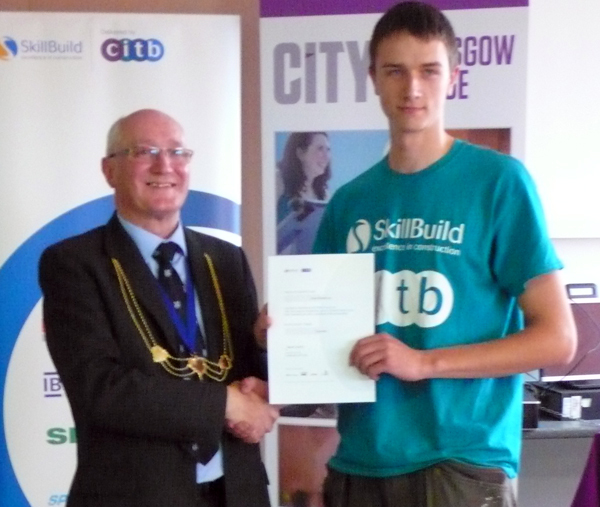 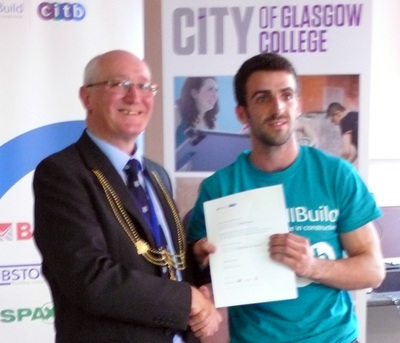 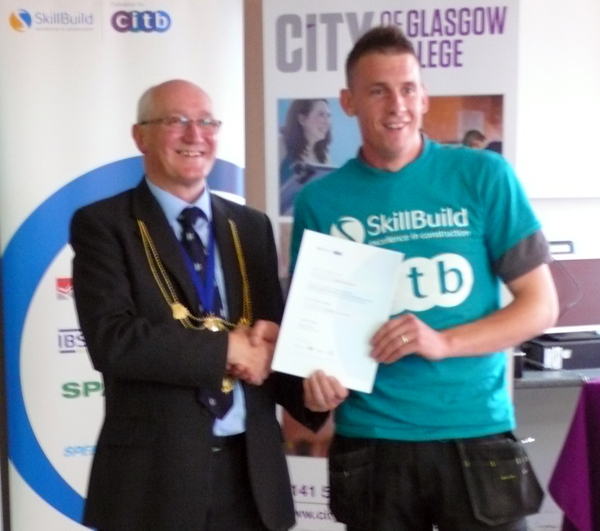 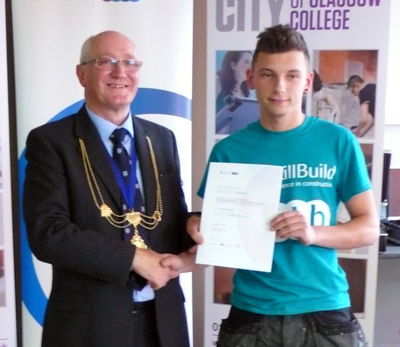 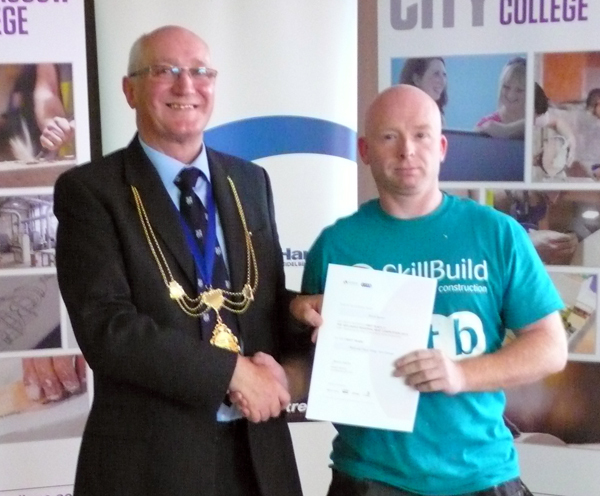 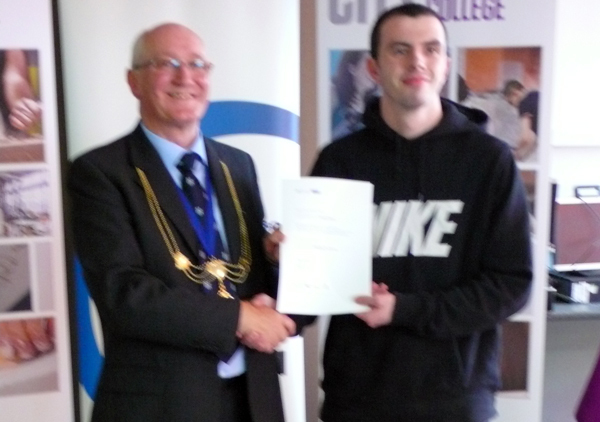 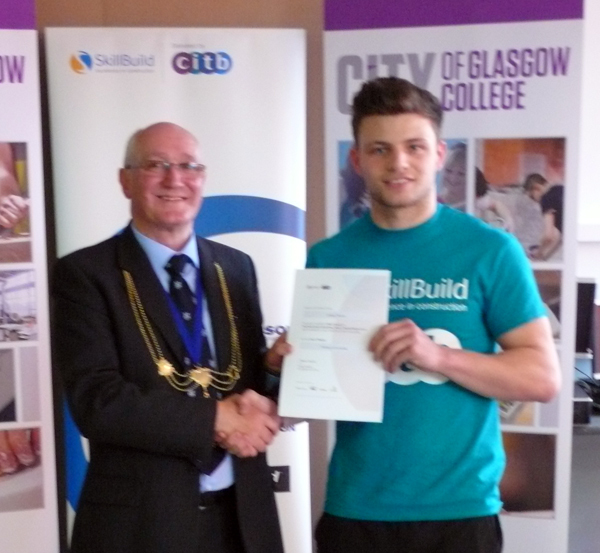 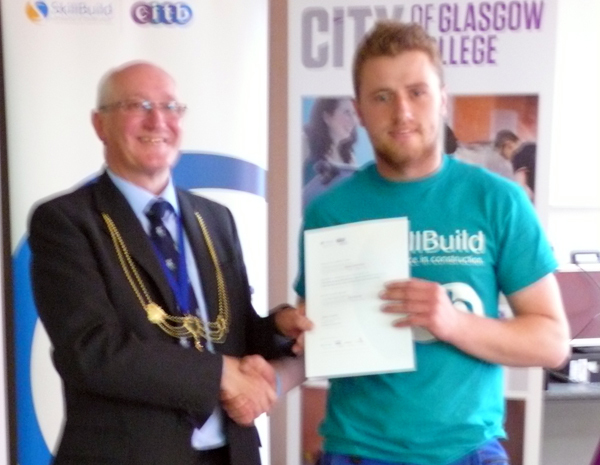 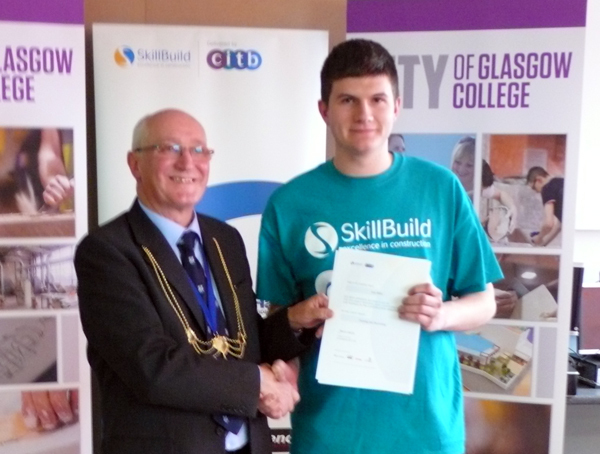 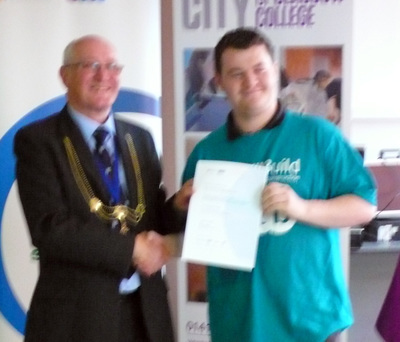 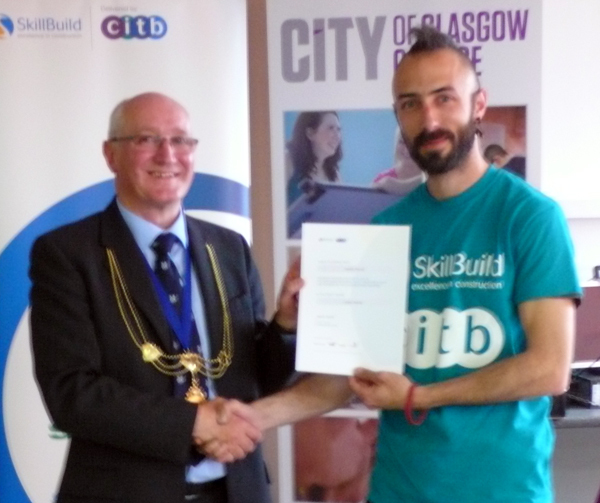 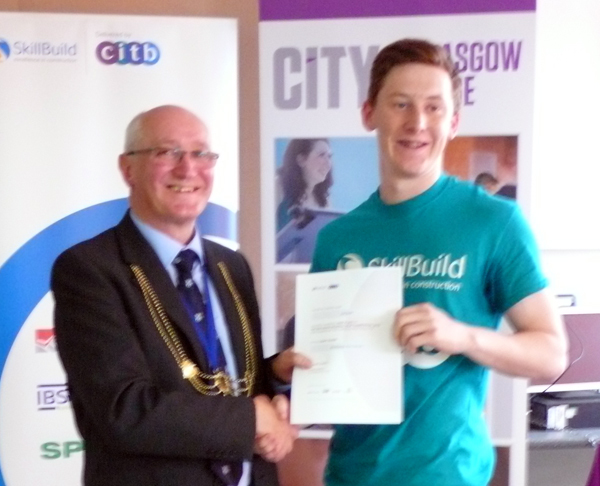 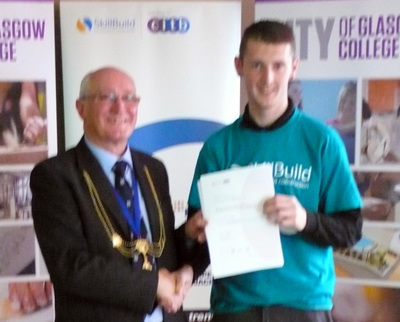 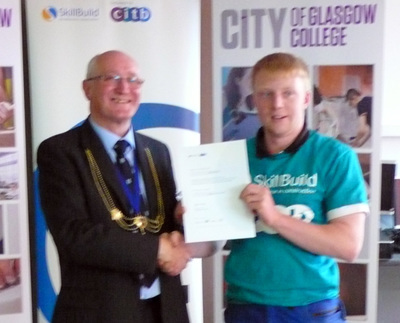 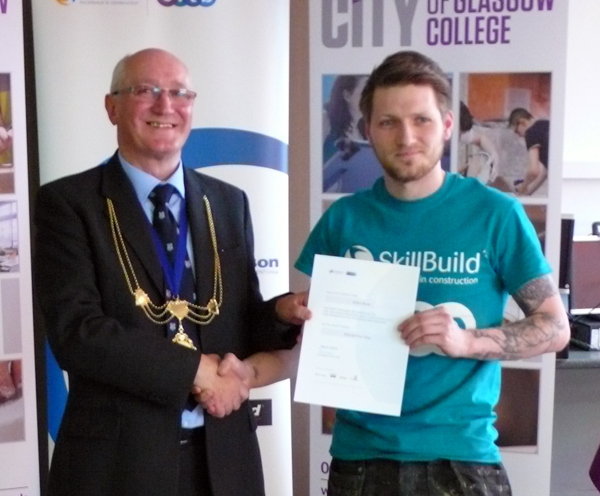 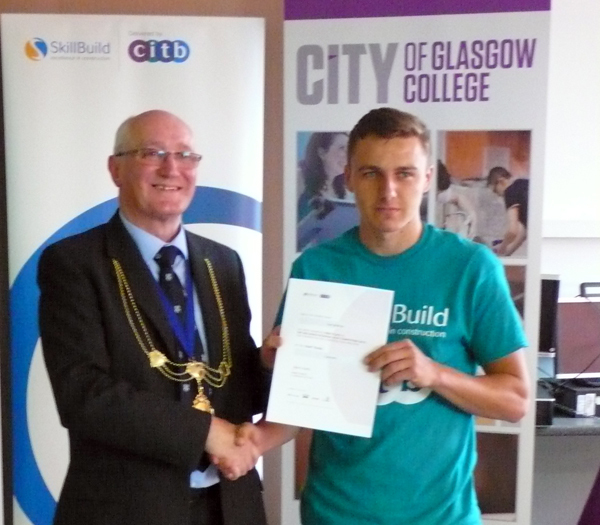 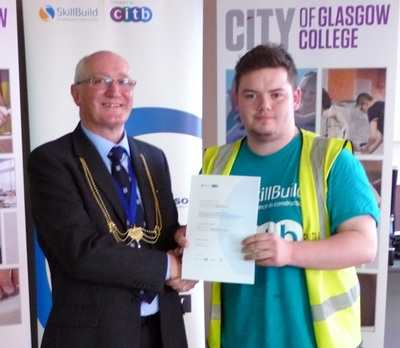 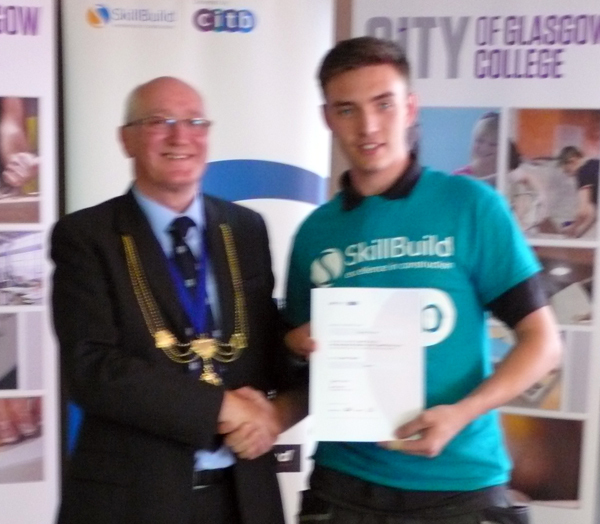 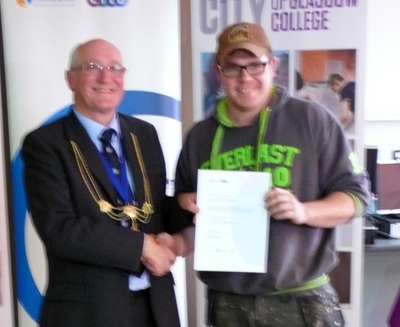 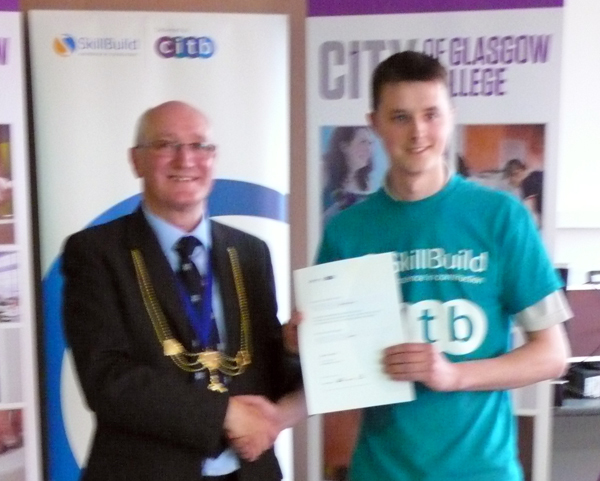 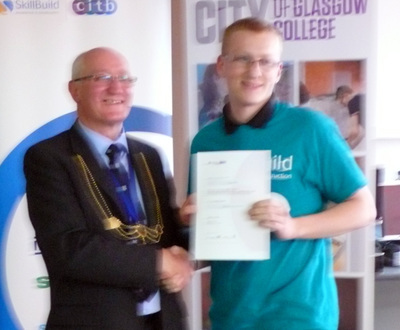 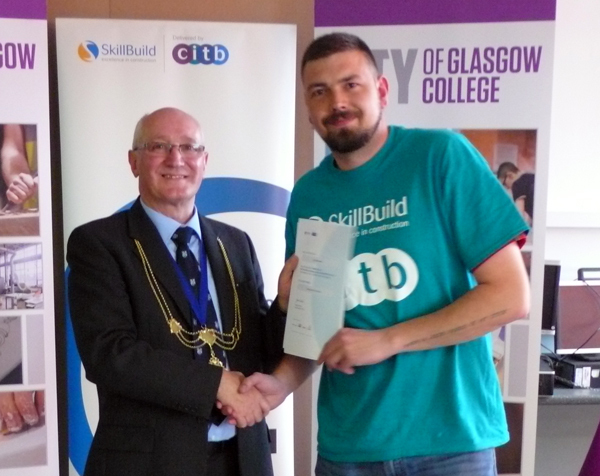 On 21st May 2015, the Scottish Heats of the Skillbuild Olympics took place at Rogart Street Campus of the City of Glasgow College. The Incorporation had been invited to attend and view the excellent work being carried out by the competitors. 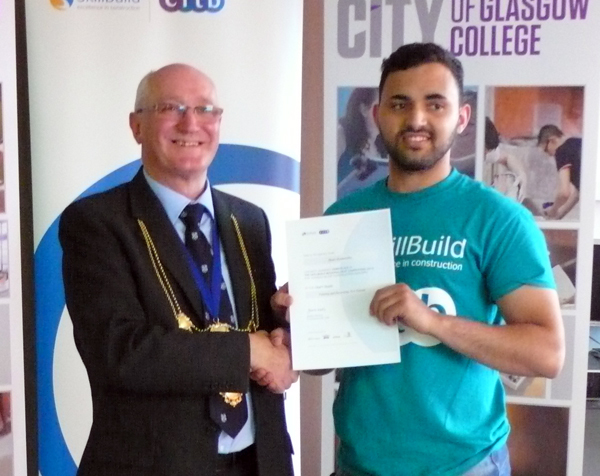 The work each had to produce was demanding and doing it to a time limit, with other competitors, invigilators and judges around, made it even more stressful. 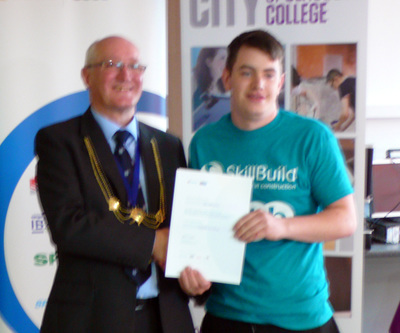 All the competitors achieved a superb standard and a number of English judges commented that the Scottish contestants were of a very high standard and that the differences in the educational systems were giving the Scots some advantage over their counterparts from south of the border. 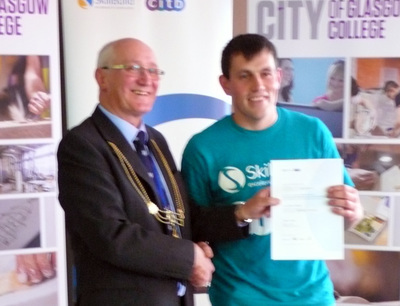 Deacon Craig R Bryce was asked to present the prizes to the winners, which he was delighted to do. 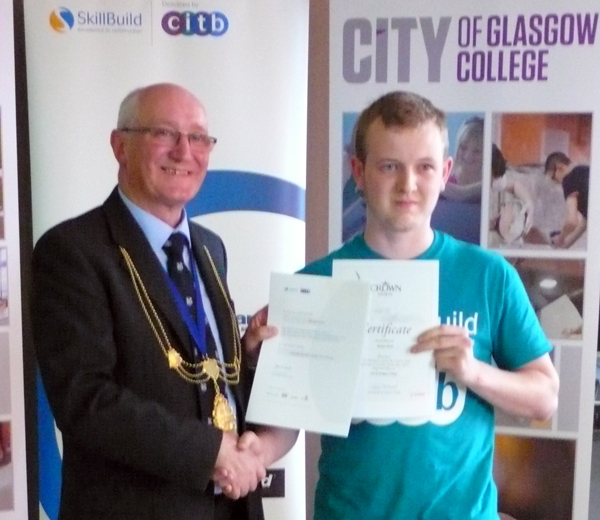 The photographs below show the 3rd; 2nd and 1st place winners.